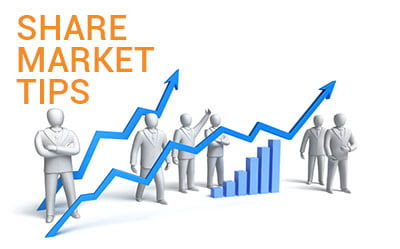 Money Market Tips: STOCK MARKET--I am 21 years old. I want to invest in the stock market, but I lack the knowledge. How should I proceed? STOCK MARKET--I am 21 years old. I want to invest in the stock market, but I lack the knowledge. How should I proceed? Now coming to your Question, First, I want to congratulate you that you are on the track..!! I love when a Teen talks about Finance. Here i am Considering investments in Direct Stock Markets and not MF’s or SIP’s. Install Moneycontrol (Network18) app. Here you can view the live rates of all shares. Pick 5 Valuable shares. If you pick today i would suggest Reliance, HDFC BANK, Ashok Leyland, Bajaj Finance and VIP Industries. I have tried to cover maximum sectors so that you can understand sectorial play as well. Go through up downs of this Share for next 15 Days. Understand how Nifty and Sensex works. Does it impacts share price ? List Down what you noticed every day. You List should have at least 3 differnt points everyday. Also list down OPEN PRICE, HIGH PRICE, LOW PRICE, CLOSE PRICE of every share and also same for NIFTY and SENSEX for this 15 Days. Next learn from your Observation. What prices Support of that share ? Support generally means that share price is not willing to go beyond that price. What is Resistance ? Resistance means share price is not crossing that level. All you need to do is OBSERVE , OBSERVE and OBSERVE for this 15 days. First thing you need to do is gather 10,000/-. You need to earn this and this should not be from Parents A/C. Any savings from Pocket money will be counted..!! If its your earned / saved money, you will know its importance. Now open a trading A/C from a broker. Initially don’t look at Brokerage cost, Look for good services. Trade according to your observation. Are you in Profits ? Do you feel it has still potential ? Then wait Again. If No, Book your First Profits. If No ? Book your first Lessons. Yes, First Loss are our First lessons. You will learn a lot. Maximum chances are you will end up with only 20 - 25 % of your initial Capital. But that should not change your attitude. Keep Faith in you and your Learnings. Start again. Afresh. Start Observing trends. Do Dummy trades and Learn. At Last, NEVER GIVE UP. Pro TIP - Never use Television as a medium to get suggestions. All Television Anchors as well Guests are paid heavly to suggest there shares. 90% of time you will end up on loosing side.